Van Nynatten explains that he was in search of empty streets, huge neon billboards with no sight of traffic. 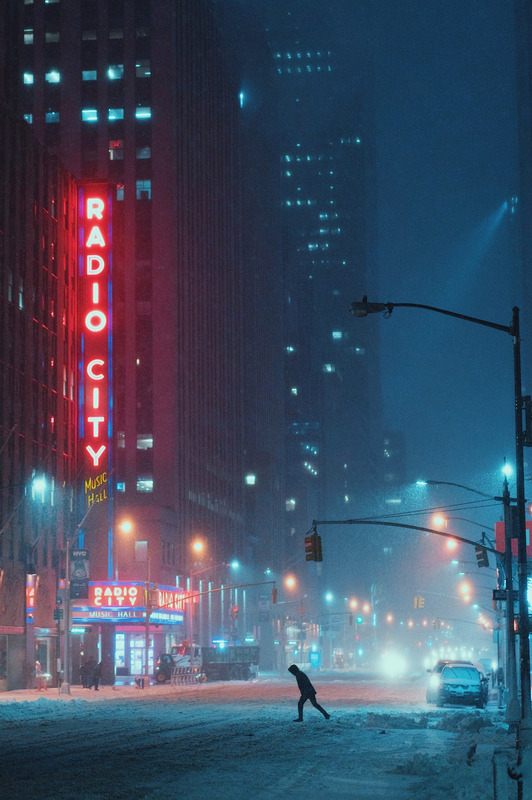 Armed with a Sony a7R II and a 55mm f/1.8 Zeiss lens, he got lucky with the light around Radio City Music Hall and stuck around for a bit to seize the moment. The color variations and billboards give the image of the NYC street a cinematic feel. From the street lights to the blurry background due to the snow, Van Nynatten timed his image to perfection with one silhouetted figure trying to get to the other side.